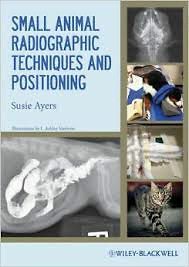 Small Animal Radiographic Techniques and Positioning is a practical, clinically applicable manual designed to aid veterinary technicians and nurses in correcting common artifacts in both film and digital radiography and in positioning the small animal patient for clear and consistent radiographs. Detailed positioning techniques are provided for each commonly radiographed body segment, including positioning aids, alternative restraint methods, and examples of the corresponding correct or incorrect radiographs. Species covered include dogs, cats, birds, and common exotics. The book begins with an ovroom maintenance, digital and film-screen imaging, then offers a section on small animal positioning, including some exotic species positioning techniques, with the final section presenting information on contrast media and special contrast enhanced procedures. A companion website provides the images from the book in PowerPoint and study questions and answers. Highly illustrated, Small Animal Radiographic Techniques and Positioning is a complete resource for any veterinary technician or student to quickly find imaging information and improve the clarity of small animal radiographs.